In addition to being unhealthy, a dusty and dirty home will create a bad impression on the visitors to the home, affecting personal and professional relationships. However cleaning a home can be time-consuming and tiring for a person with a busy schedule, who does not have any household help. Also, most of the vacuum cleaners available online and offline are bulky and cannot be used conveniently in smaller areas, especially those without an electric power supply. So many internet users are looking for a suitable stick vacuum cleaner which is one of the best house cleaning equipments because it is both lightweight, effective for cleaning and affordably priced. 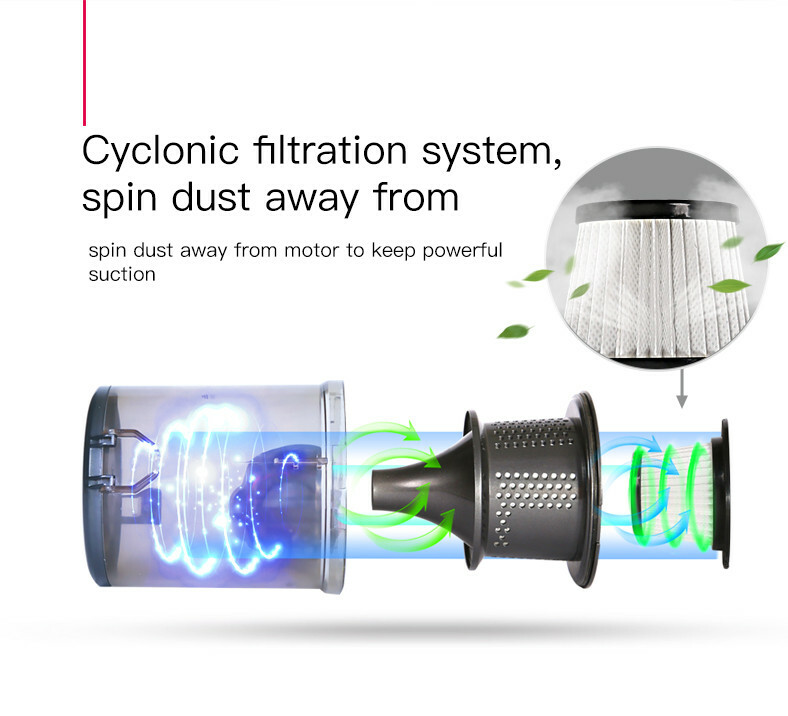 The handheld Dibea C17 dust collector is a handheld cordless vacuum cleaner designed to clean homes and other areas quickly and conveniently. The vacuum cleaner weighs five pounds only and can be used to easily clean hard to reach areas like the curtains, upholstery, cars, stairs and other crevices in addition to cleaning other areas with the help of a tool and stiff brush for crevices. 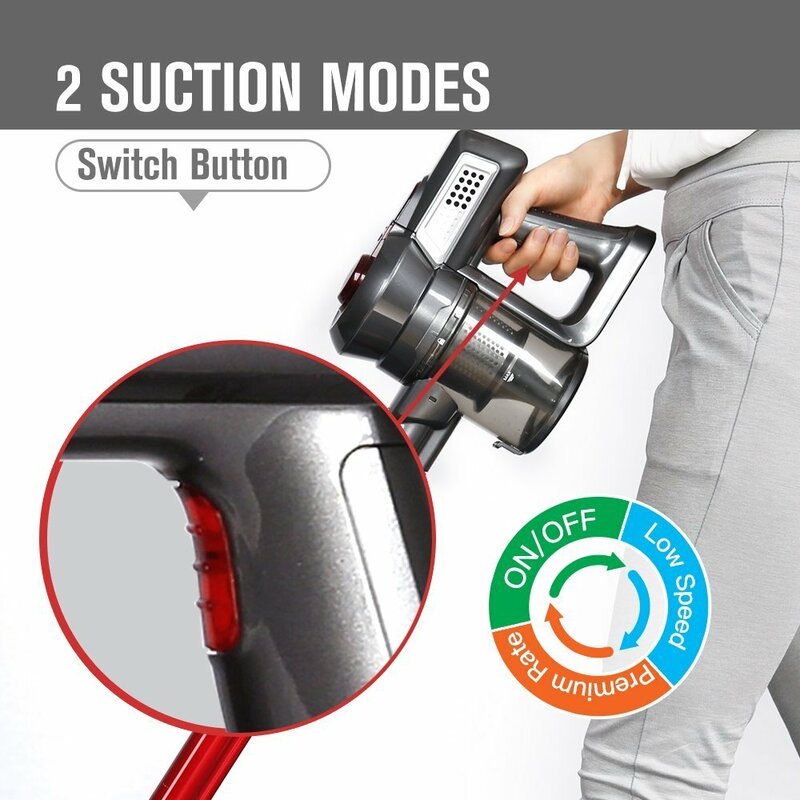 The compact stick vacuum cleaner does not have a bag and can be easily maneuvered to clean the furniture and areas below and around the furniture like sofa, beds, chairs using the swivel mechanism for steering and flat handle for cleaning the surface. 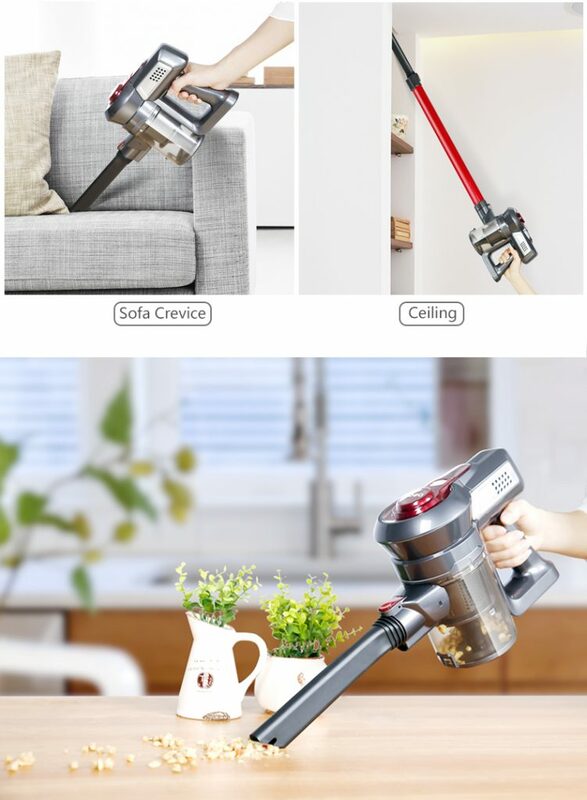 Depending on the type of cleaning to be done, the stick vacuum cleaner has two different modes of operation, a high-speed mode for heavy duty cleaning with the suction power of 7 kPA and a low-speed eco mode with suction rated at 4 kPA for light cleaning like removing the dust. The handheld stick vacuum using cyclonic cleaning techniques and HEPA filtration has a dust tank capacity of 350 ml. 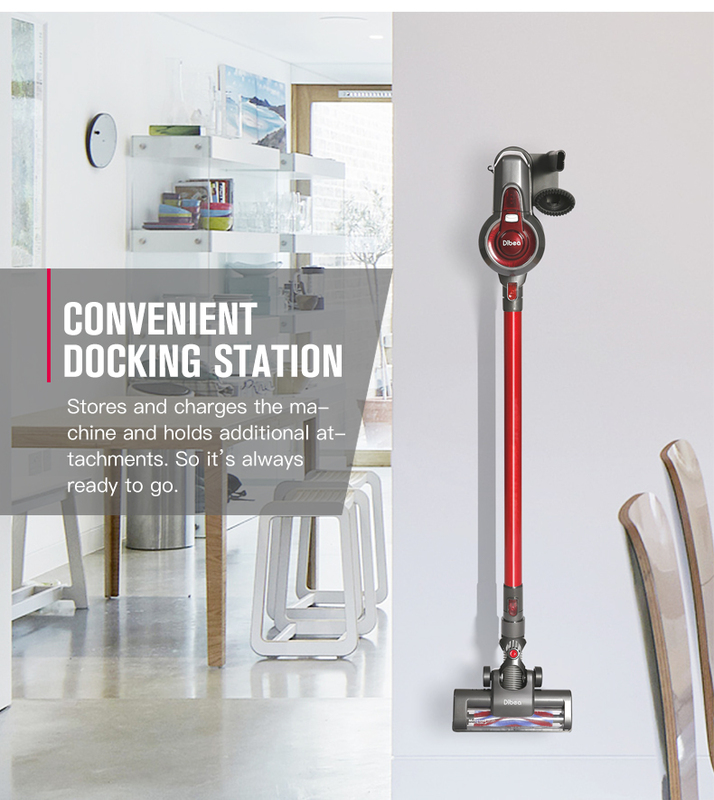 The stick vacuum cleaner can be easily operated switching it on with a button and incorporates advanced technology to control noise and for quiet operation. 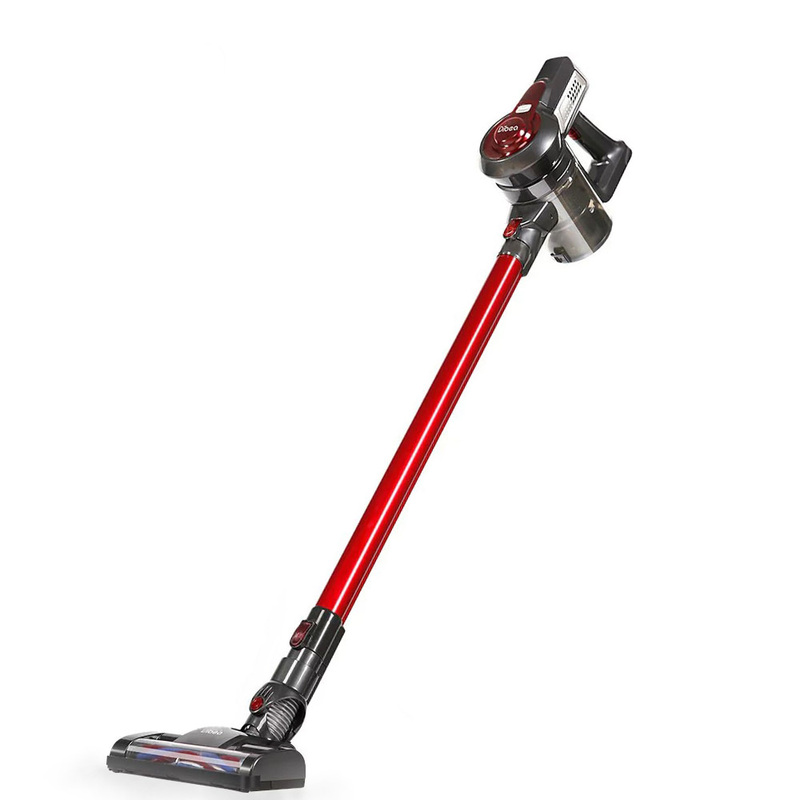 The handheld stick vacuum with a rechargeable lithium-ion battery can be used for 25 minutes in the high-speed mode and 45 minutes in the eco mode. It is designed for operation with both European or United states power supply of 110 and 240 V respectively depending on the customer requirement. A wall charging bracket is supplied and the charging time for the vacuum cleaner is four to five hours. The compact size and effectiveness of the Dibea C17 dust collector makes it ideal for those looking for suitable house cleaning equipments, which are easy to operate, affordable, and can clean the home quickly. What Makes Xiaomi Air Purifier 2 Better than Xiaomi Air Purifier?